justin beiber eats and he gets fatter. justin beiber eats more and he gets fatter. 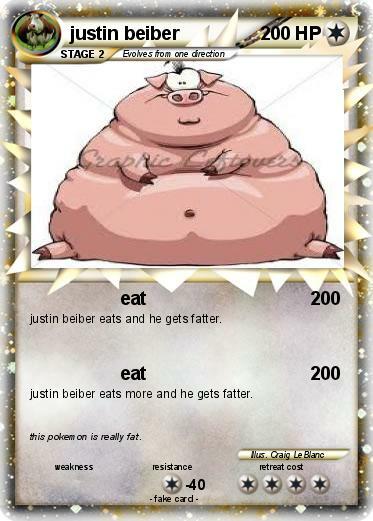 Comments : this pokemon is really fat.